Helene Leane has been represented by Gallery 139 in Newcastle since 2015. She now resides in the Upper Hunter which has influenced her art making in the past year. Her work centres mainly on the natural environment. 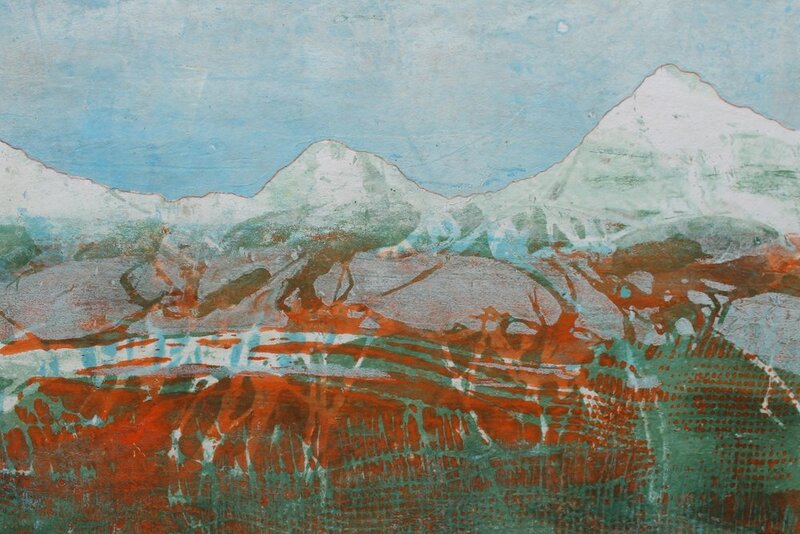 Helene is a painter and printmaker, preferring to use acrylic paint on canvas and gouache paint in printmaking, focusing on creating monotypes (one-off original prints). Both mediums enable her to create sensitive landscapes which are often drawn from memory or the subconscious. Helene Leane received her Bachelor of Arts (Fine Arts & History) from the University of Sydney in 1990. She also holds a Master of Teaching, Master of Education (Mathematics) and a Certificate in Art Therapy from Sydney and Newcastle Universities. Helene has been a finalist in numerous nationally recognised Art Prizes including Gosford Art Prize (2014, 2009), Muswellbrook Art Prize (2013, 2009), Kilgour Art Prize (2010) and Newcastle Emerging Artist Prize (2008). Her recent exhibitions include solo exhibitions at Gosford Regional Gallery (Mirrored in the Earth, 2014) and Muswellbrook Regional Gallery (And the Earth Breathes Too, 2014); Group exhibitions at Newcastle Art Space (Handwise VII, 2014, Nightmares, 2013), Cessnock Regional Art Gallery (One Off, 2011) and Manning Regional Art Gallery (Underneath Art, 2009). Helene's first exhibition at Gallery 139 was Lino & Lace and based on the interior of Newcastle only Heritage listed residence Miss Porters House during June 2015, her second exhibition in the gallery explored the Coal Town of Carrington in COAL DUSTED during August 2016. 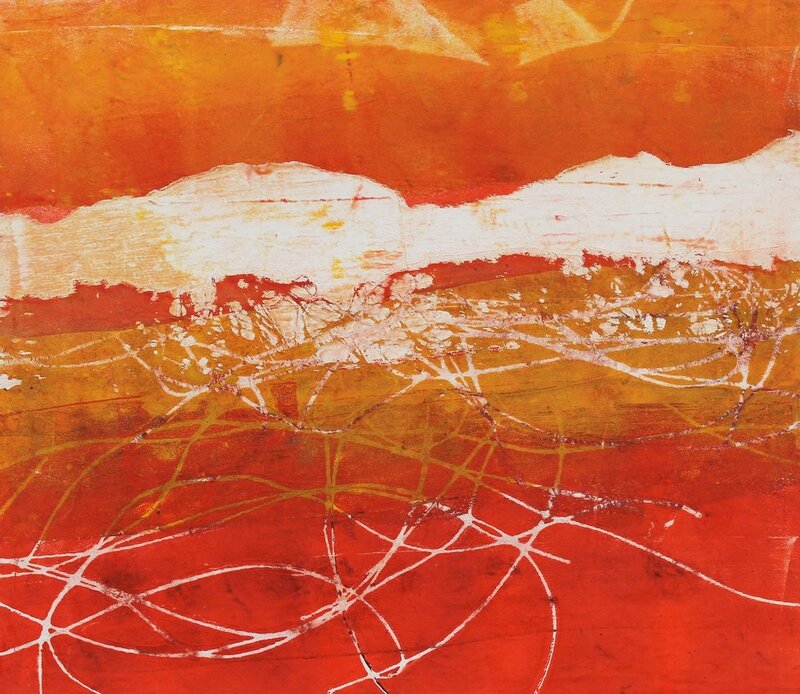 In 2017 she relocated to The Hunter Valley and her current series explores the history of the majestic Australian Red Cedar Tree through a new monotype printmaking series. Red Gold: The Cedar Story. It was first exhibited at Janet Clayton Gallery during April 2017 and recontextualised in Gallery 139 during May 2017. In 2018 Helene will be participating in Gallery 139 at Aro in Sydney alongside fellow Gallery 139 Artists from 19 - 30 September. Please follow Helene on her Artist Facebook and Artist Instagram for regular updates. above various gouache monotypes inspired by LANDSCAPE (monotype is a type of one-off printmaking process). 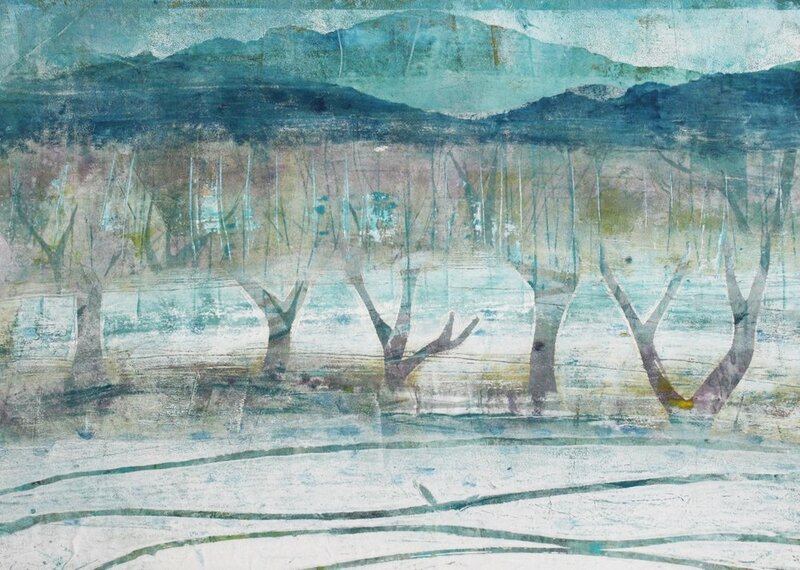 These monotypes are created through layered stencilling and painting.